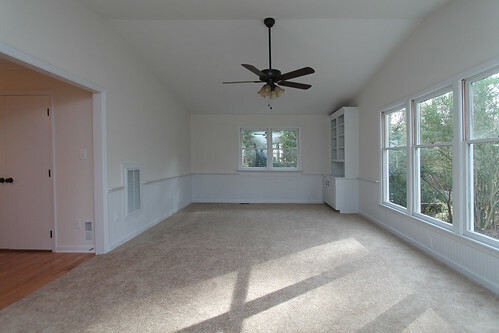 This is a view of the living room space that was added to the back of the house. 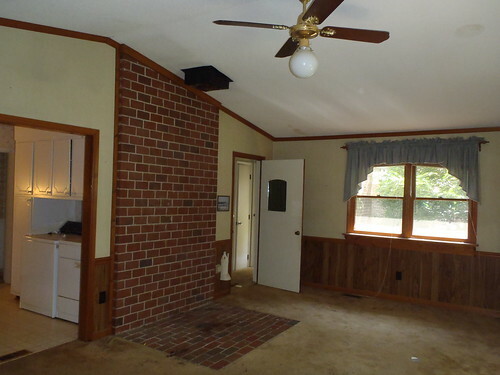 You can see a brick pad and wall where it appears a wood-burning stove once was. The door leads into a small shared bathroom that will become a private master bath. Also notice the laundry that was once part of the kitchen. Beautiful laundry space is in place. Plenty of additional storage in this climate controlled space. 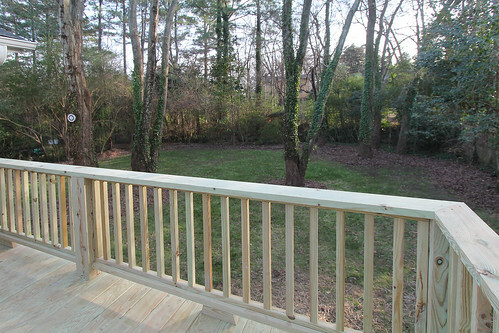 Improved the layout of the deck and provide access from the driveway. The basement area appeared to be used as storage for many years. 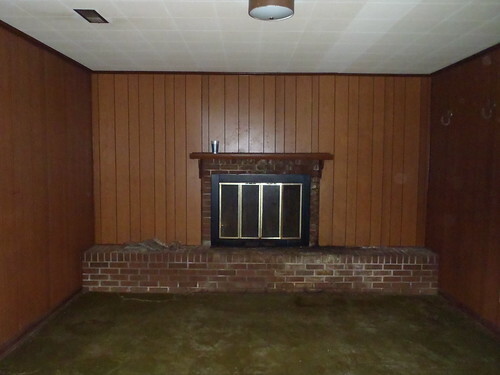 Most of the paneling and all of the carpet were in very bad condition. This will be updated to become a new 4th bedroom and possibly a separate office space. Power and cable were installed above the mantle behind the drywall ready for the addition of a TV hanging above the mantle. Cable also run beside the power outlet to the right for easy access later. Window sized expanded to casements to meet current code. 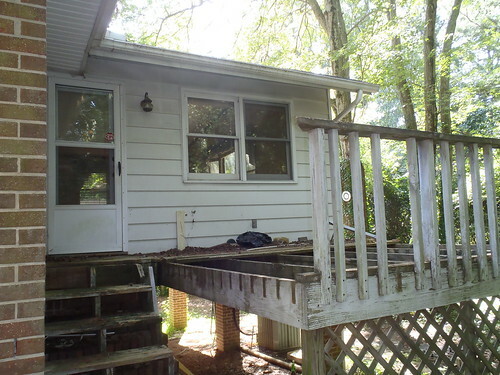 The old deck was in need of serious repair. 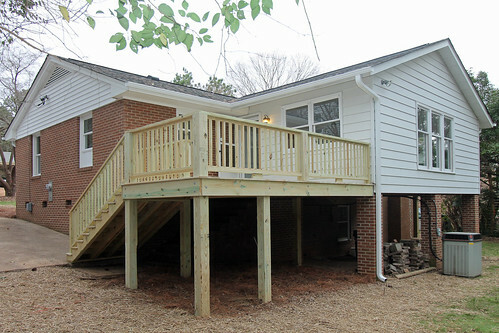 It was removed and will be replaced with a new deck and updated to extend the entire length of the addition. The bricks have been removed and the shared bathroom door has been closed in. All ceilings have been replaced with smooth ceilings. Wood paneling replaced with wainscot. With the help of our landscapers, there is now a new back yard space ready for 1,000s of possibilities. All of the debris and overgrowth was removed and new grass seed planted. It became all new outdoor space. Kitchen and wall have been removed. Short partition wall separating living space from new kitchen along back wall of house, leaving a "U" shaped layout for the new space. 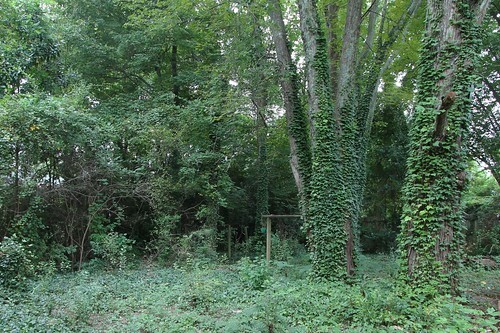 Back yard was a little overgrown to say the least. In reality, there was no back yard to speak of. A lot of debris and old outbuildings have accumulated over the years. 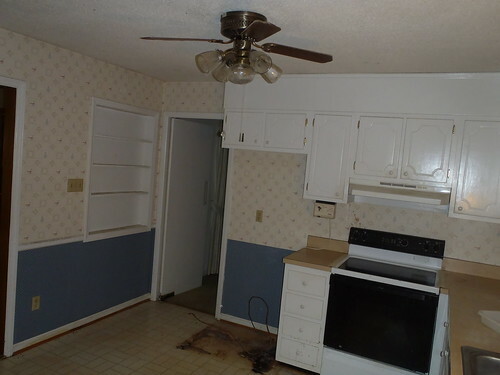 The old kitchen was situated in the center of the house. This is being moved to the back of the house to provide natural light into this space. 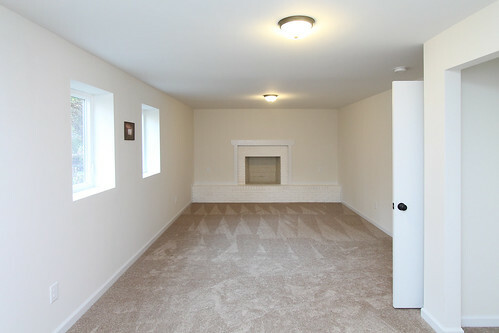 The floor plan is also being opened up to provide a more updated flow and great-room. 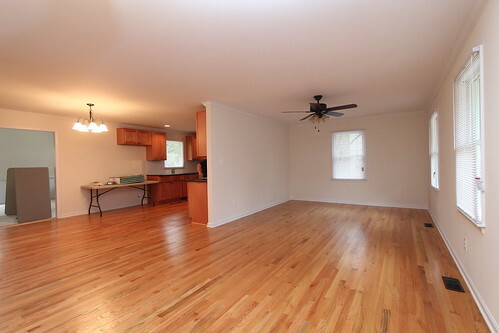 A huge pantry and entry coat closet was also added. 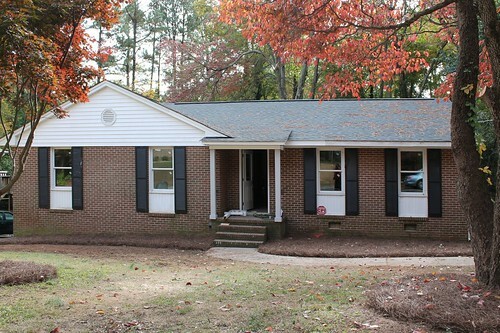 Here is the latest view of the front of the home. 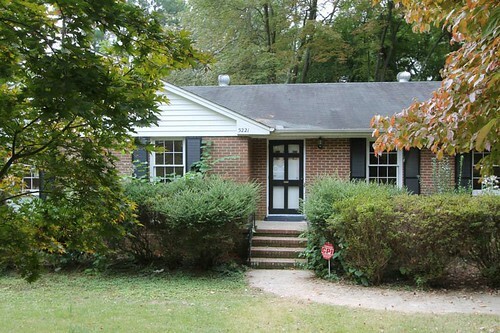 This photo will be updated as major elements are improved on the home. Front view of the house before any updates or construction started. Landscaping was very overgrown and not to scale for the house. There were also a number of maintenance issues that are hard to see in this photograph. 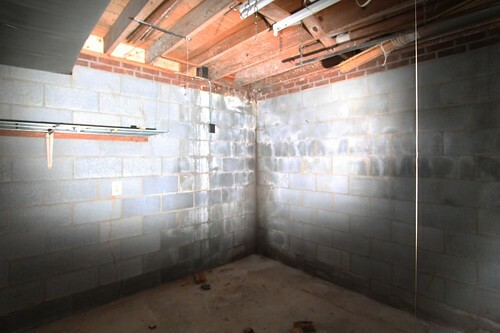 This old storage space in the basement will be transformed into a modern laundry room. 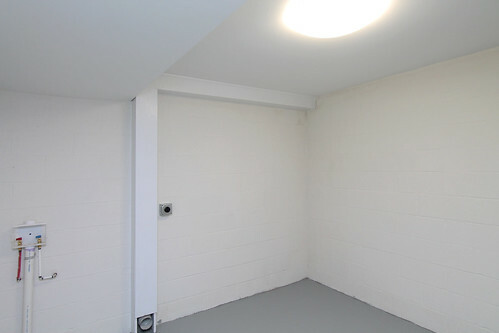 Walls will be sealed and painted with plenty of lighting and storage room.